I am sure I saw the deer that dropped it as well as another that still had both attached run out of the woods…I will probably give it another week now for sure, don’t want to pressure them out of the area…Didn’t have my SD card to pull pics form camera…Will do that maybe this weekend.. I think i figured out how to post the pic of the nicer of the 2 sheds i have found in the last few days. 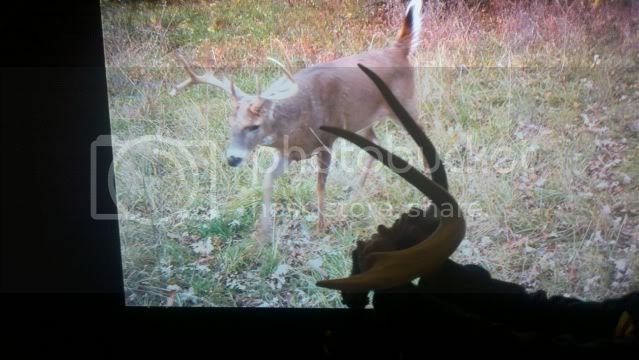 Hopefully i get time to get out and find the real monster i know lurks in our woods. 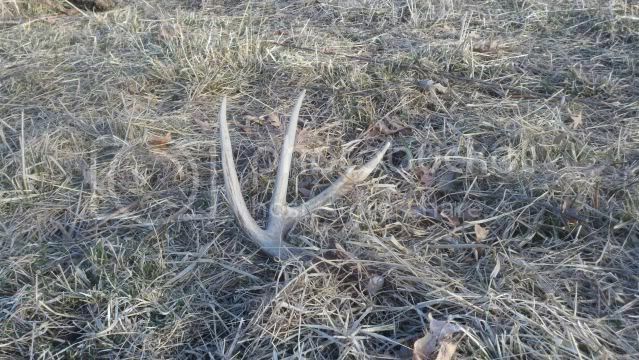 CCH, That deer has got some potential too….I have a couple that I don’t have any pictures of on one property that I hunt that I would love to find the sheds from…Good luck to ya on finding those puppies…. 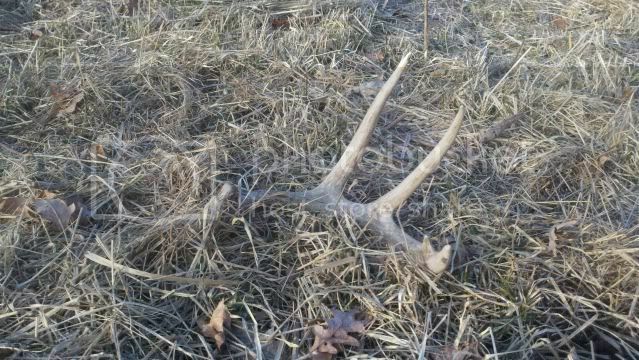 Didnt get out but saw 3 bucks bedded off the road still holding both sides on saturday just outside of Terre Haute IN. I did about 3-4 hours of walking Sunday on the farm in Fulton county and found nothing. Saw about 16 total deer, none of them had horns.